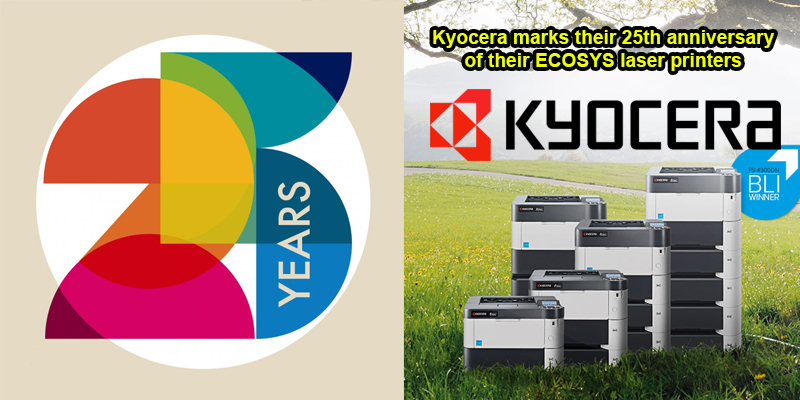 Here at Ink n Toner UK we are proud to say that KYOCERA are celebrating their 25th anniversary, which marks the launch of its original environmentally friendly laser printer which they call it the ECOSYS range. KYOCERA as a company already have a very strong background in electronics and when they launched ECOSYS back in 1992 they paved the way for more environmentally friendly solutions to laser printing. 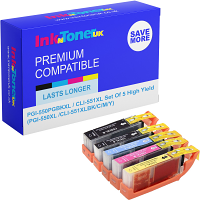 The original FS-1500 model (which the toner cartridges can be bought on our website www.inkntoneruk.co.uk) enabled an 85 per cent reduction in the waste of consumables over the printers lifetime. They are capable of printing out up to 7,000 pages (at a 5% page coverage), making for great longevity at a very good price. You may be wondering where the most reliable KYOCERA ECOSYS toner supplier is. But with so many websites claiming they’re the cheapest it can seem like an impossible task. Ink n Toner UK is different, we differ from other suppliers by giving a high level of service with outstanding prices on all the consumables for your Kyocera Ecosys printers. For more information on which toner cartridges we supply for the Kyocera Ecosys range, you can find out by clicking here. Here’s a quick timeline of KYOCERA, and its many achievements. 1993: First with eco mark. 1998: New KYOCERA HQ powered by the sun(also happens to be the same year google inc was founded). 2000: KYOCERA awarded the Fuji Sankei Group Prize. 2005: Awarded the Good Packaging Prize. 2004: KYOCERA plant earns second sustainable management award. 2010: KYOCERA Technology Suite opens in London. 2011: KMUK wins President award. 2012: KYOCERA MITA becomes KYOCERA Document Solutions.